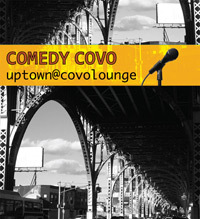 Comedian Michael Che headlines a great lineup for our January Comedy Covo at Covo Trattoria in Harlem. Come out for free comedy and see this David Letterman alum perform his comedy magic! Show is Sunday, January 27th starting at 7:30pm.